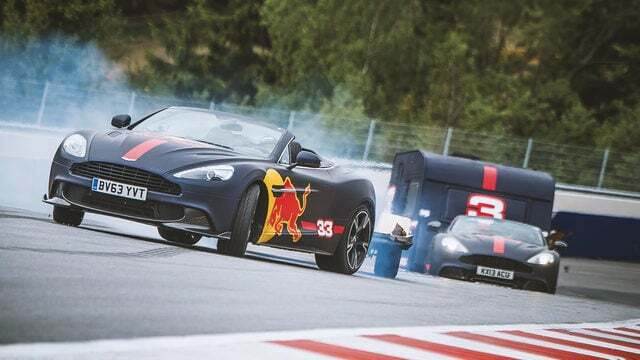 In an effort to promote the upcoming Austrian Grand Prix, Red Bull decided to hitch up a caravan to two Aston Martins and get their drivers to race round their Spielberg track to see what happened. Now, we all know this is going to end up like an episode of Top Gear, but even so, it's worth a watch. I do love how much fun these two are having. Daniel later said that both he and Max were "crying with laughter" and you can see it, particularly when the caravans lift up on to one wheel!